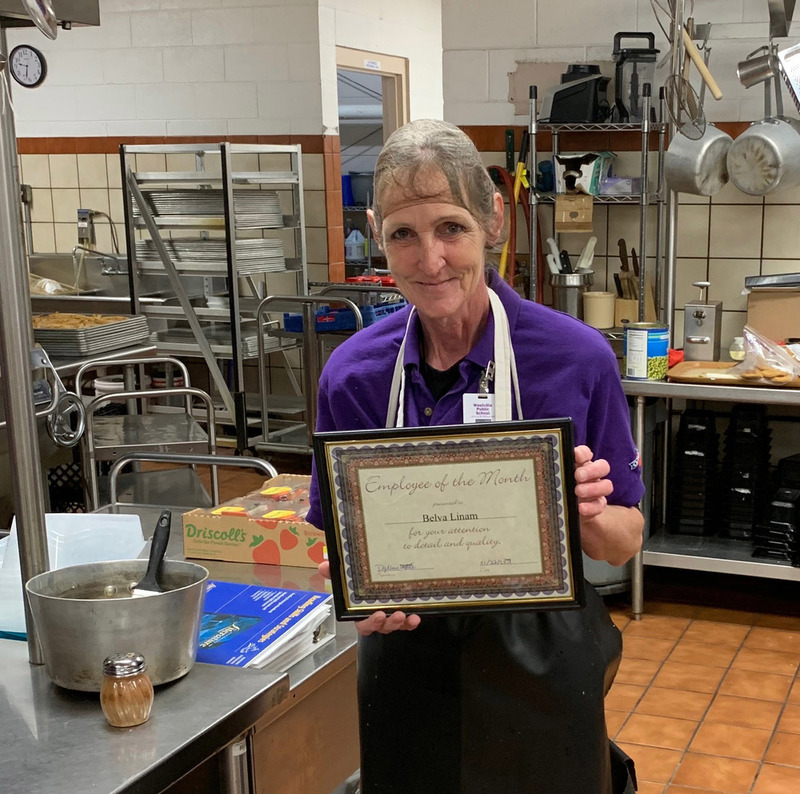 Congratulations to Belva for being selected as the cafeteria employee of the month for January. She is our dishwasher and she works very hard for our kitchen and doesn't get the thanks she truly deserves. Belva received a certificate and a goody bag! Thank you for everything you do, Belva!